U.S. housing activity remains weak despite six years of federal government aid, strong interest from overseas buyers, rock-bottom interest rates and massive purchases of mortgage bonds by the Federal Reserve. Does this mean housing may never spring back to its pre-recession levels? Many signs point to yes. Don't blame the Chinese, who are showing an abundance of interest. Their share of foreign purchases leaped to 16 percent in the year ending March 2014, from 5 percent in 2007. They paid a median price of $523,148, higher than any other nationality and more than double the $199,575 median price of all houses sold. The value of home sales to all foreigners rose 35 percent last year to $92 billion, up more than 50 percent since 2007 and accounting for 7 percent of all existing home sales. Foreigners view U.S. homes as safe investments and U.S. schools as good places to teach their children English. But such robust foreign purchases can't overcome what ails the U.S. housing market. Activity is weak even now that banks are no longer tightening mortgage-lending standards, according to a Fed survey. Banks are searching for new lines of business since the Dodd-Frank reform law and regulations are depriving them of revenue from proprietary trading, derivative origination and investing and off-balance sheet activities. The end of the mortgage refinancing surge has added to the pressure on banks. By necessity, banks remain selective about the mortgages they'll underwrite, having paid huge penalties for originating and selling bad mortgages pre-crisis. Banks are also being careful to avoid the high cost of mortgage defaults now that they must repurchase loans with underwriting defects. The result can be seen in foreclosure data: In the third quarter, banks began foreclosure proceedings on only 0.4 percent of mortgages, far below the 1.4 percent level in the peak of the financial crisis. 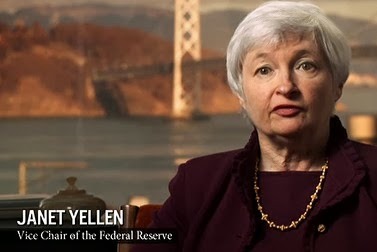 Fed Chair Janet Yellen worries about the negative effects of tight credit standards on housing. While she admits that lenders should have raised their standards earlier, “any borrower without a pretty positive credit rating finds it awfully hard to get a mortgage,” she said in July. Even Ben Bernanke, her predecessor, was turned down when he tried to refinance his mortgage. With the federal funds rate at essentially zero and the Fed having ended its purchases of mortgage securities, the central bank can’t do much to help housing now. The Barack Obama Administration, however, is reversing some of the government post-crisis tightening of lending standards. Fannie Mae and Freddie Mac, which remain under government control and now guarantee about 90 percent of all new mortgages, have reduced the underwriting standards on packages of mortgages they guarantee, including allowing loans with as little as 3 percent down payments. The Federal Housing Administration just cut its annual mortgage-insurance premium by half a percentage point, to 0.85 percent. The federal Home Affordable Modification Program (HAMP) has also reduced mortgage costs for 1.3 million homeowners by lengthening repayment terms, reducing interest rates and cutting the principal owed, but the backlog of unprocessed applications was well over 200,000 in the spring. The Treasury Department, in response, has extended the five-year-old program, set to expire at the end of 2015, for at least another year. To encourage banks to originate mortgages that can be packaged into securities and sold with Freddie and Fannie guarantees, the mortgage-finance companies recently explained which defects would trigger demands that banks repurchase loans. Since banks are being forced to buy back many billions of dollars in bad mortgages from the housing bubble, they may remain cautious. Still, some may remove “credit overlays,” the higher credit scores and other measures that are more stringent than what Fannie and Freddie require. What's more, for the 2 percent of mortgage securities issued without federal backing, banks won’t have to retain 5 percent of the underlying mortgage when buyers put down less than 20 percent, as bank regulators at first proposed. Instead, banks must verify the borrower’s ability to make monthly mortgage payments and also must make sure total monthly debt payments don't exceed 43 percent of monthly income. As you can see, the federal government is trying mightily to spur housing activity. But don’t expect this small but volatile sector to move the economic needle anytime soon, even as 30-year mortgage rates drop. The headwinds from consumer debt, high down payments, unforgiving credit-score standards and worries about another swoon in home prices are too strong. We need to take a close look at spreading deflation. As of November 2014, 12 of the 34 member countries of the OECD show year-over-year deflation with zero or negative CPI changes. Also, almost every currency in the world is declining against the US Dollar, it's either because of competitive devaluations against the US Dollar (euro and yen) or declining commodities (Canadian, Australian and New Zealand dollars). We're in what I call a half-speed recovery. The overarching cause is that we're in the age of de-leveraging. I see years of the Fed continuing to hold interest rates with continued slow growth as we work off the excess debt that was run up in the 80's and 90's. You've got deflation, the safe haven effect and foreign money pouring into treasuries. I think this is going to continue with all the drama we see in Russia and elsewhere. The Fed is on hold for probably a couple more years. We’re in that deleveraging. It’s over-whelming all the fiscal stimuli we’ve had. It’s resulting in slow growth. It’s a continuation of the 2% real GDP growth in this country.